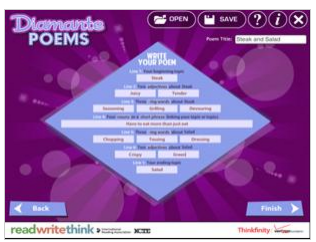 Here are 3 good web tools from ReadWriteThink to help students with their poem writing. 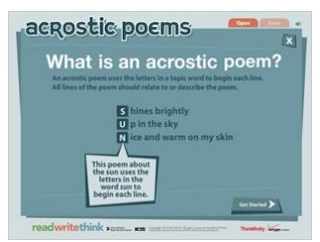 Students will get to learn how to write different poem types (e.g., acrostic poems and diamente poems ) and in the process, will also get to reinforce elements of the writing process such as brainstorming, revising, and editing. The tools are totally free of charge and easy to use. 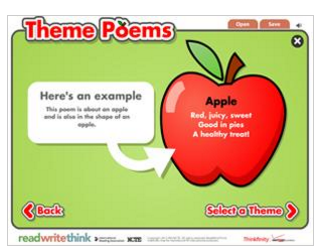 Check them out and share with us your feedback in our Facebook page.